Celebrate everyday with MasKingdom. Indulge and immerse yourself in the kingdom of mask. With MasKingdom, a mask is more than just a daily regime, it becomes an experience and indulgence to the senses. 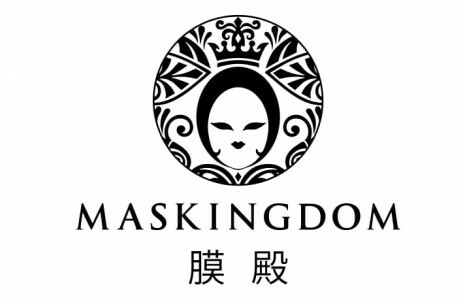 MasKingdom focuses on using high quality material for the construction of the mask – Japanese silk and incorporating premium ingredients such as truffles, pearl and Chinese herbs to improve the quality of your skin, giving you a younger looking appearance. With I-Wish Mask Series, sharing the joy or blessing is as simple as buying a gift. 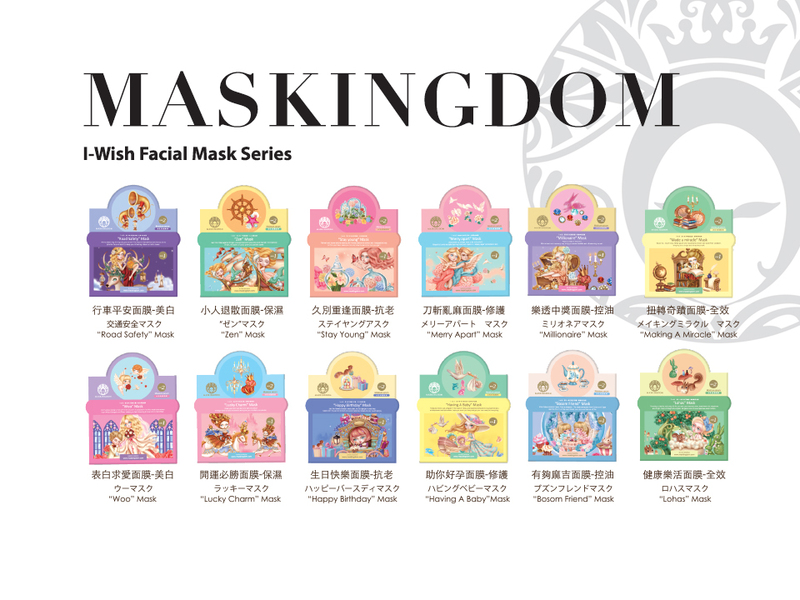 I-Wish Mask comes in 12 different themes, each customized with a different special occasion and good wishes. MasKingdom presents to you their adaptation of the classic fairytale, Red Riding Hood. Opening up a new field of beauty with truffles to bring consumers a sense of childhood happiness. A premium mask range with truffles and top quality ingredients such as wine, pearl and chocolate. 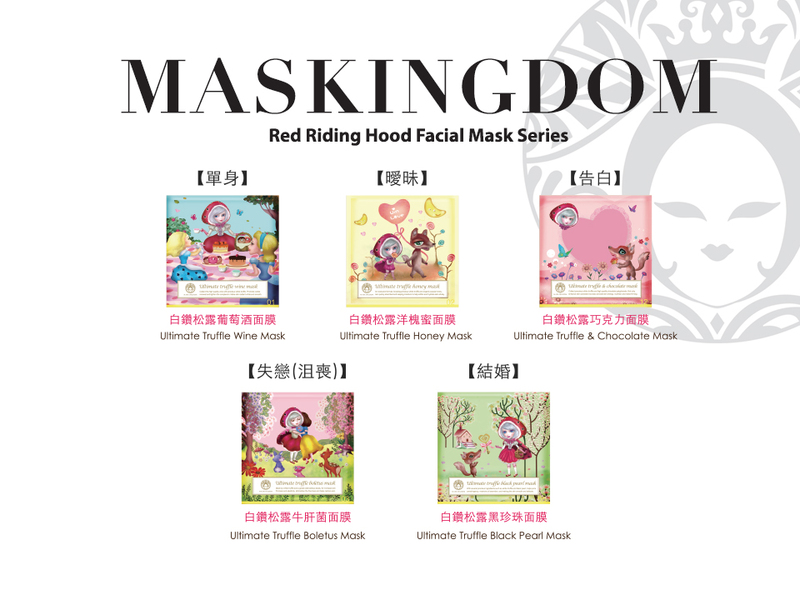 With an exclusively illustrated Red Riding Hood Character that brings each mask theme to life. Incorporating Chinese medicine and therapeutic to enhance the well-being of oneself, is a common practice in Chinese culture. 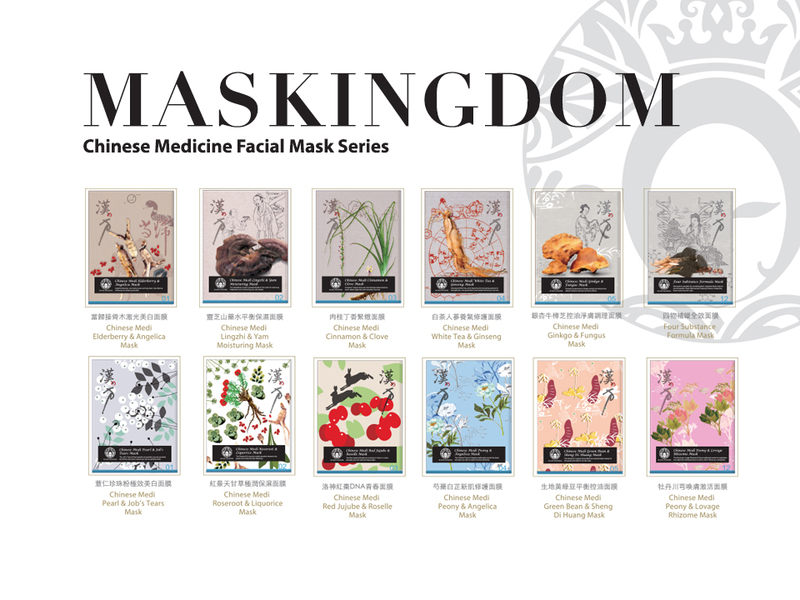 MasKingdom’s Chinese Medicine Mask comes in 12 different combinations integrating all the quintessence of Chinese Empresses beauty regime and beauty care that has lasted for 5000 years. Incorporating Chinese herbs such as Angelica Sinensis (for fairer radiant skin), Roseroot (for moisturizing and rejuvenate skin) and Red Jujube (for skin tightening and firming).